A Surrey . . . "without the fringe on top" was delivered Wednesday to the Historic General Dodge House. 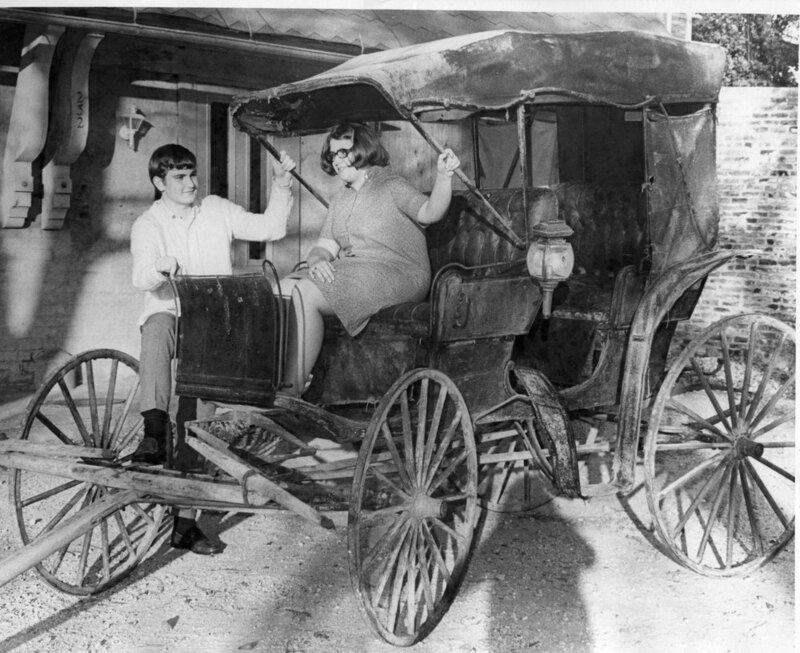 Volunteer workers at the house examining the carriage of an earlier vintage are Miss Melodee Hielen and Bob Winebarger. Nonpareil photos, “Historic Dodge House Recipient Of A Surrey,” Council Bluffs Public Library, accessed April 21, 2019, https://www.councilbluffslibrary.org/archive/items/show/5040.